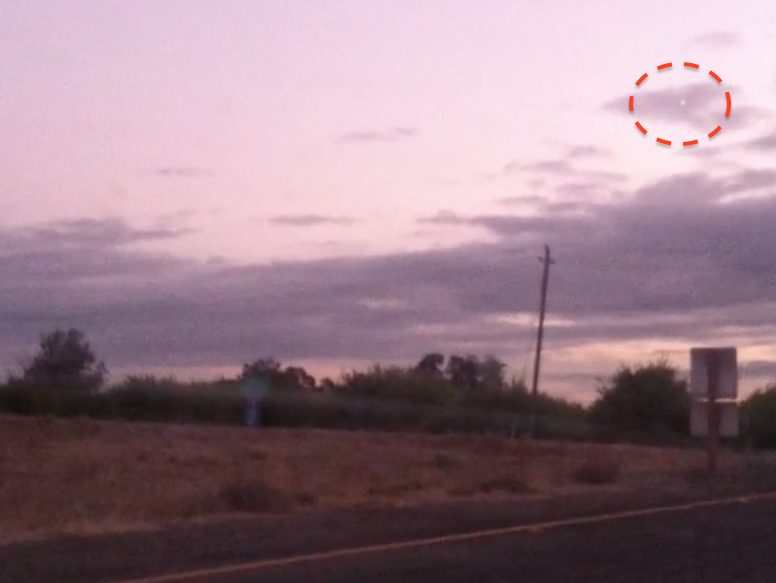 UFO SIGHTINGS DAILY: UFO Rises Up Into Sky Over Dunnigan, California On Oct 17, 2015, Video, UFO Sighting News. UFO Rises Up Into Sky Over Dunnigan, California On Oct 17, 2015, Video, UFO Sighting News. This is a great video, except he took it behind his dirty window. If you see a UFO, please move infront of the window. Its helps. 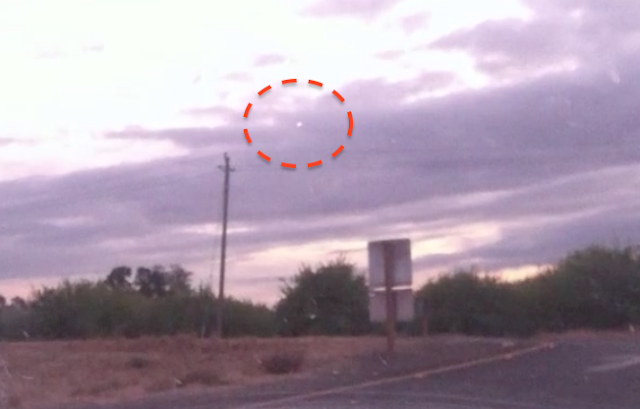 This glowing UFO had rotating lights going around it and continued to rise into the clouds. The eyewitness lost sight of it, but can still be seeing the video at 1:15 into the video. As I have said before, UFOs appear most during sunset. I was in Dunnigan, California, driving home from work. I seen a flashing light as I was taking my exit to county road 1, I had thought the blinking light was a radio tower, until I seen it slowly rising., and noticed there was no pole beneath it. I pulled off to the side of county road 1 exit, and began filming the object with my Iphone 4, At first, the light was blinking through the clouds. About a minute and a half later, it had risen above the clouds and was slowly moving in the north direction, over me. At this point, I was able to see the object in person. It was a perfect black saucer shaped object, with a bit of a triangular pointy tip in the front. By then, I was in shock. I felt like my brain was telling me no, yet my eyes were telling me yes. The scariest and most unbelievable part for me, was the lights. The lights were blinking in a circular motion, one after the other, making a full rotation around the saucer, exactly like the ones you would see in a movie. I was feeling anxiety by now, honestly wondering if it noticed me. The whole movement of the saucer was simple. All it did was hover in the sky from about 40 ft from the ground, until it was above the clouds. It hovered in a straight line. Its hard to describe how far away it was from me, maybe about a football field away. I was able to see the chiseling detail of the ship, and the lights were picture-perfect clear.